At Serious Eats, we take our readers’ comments seriously. 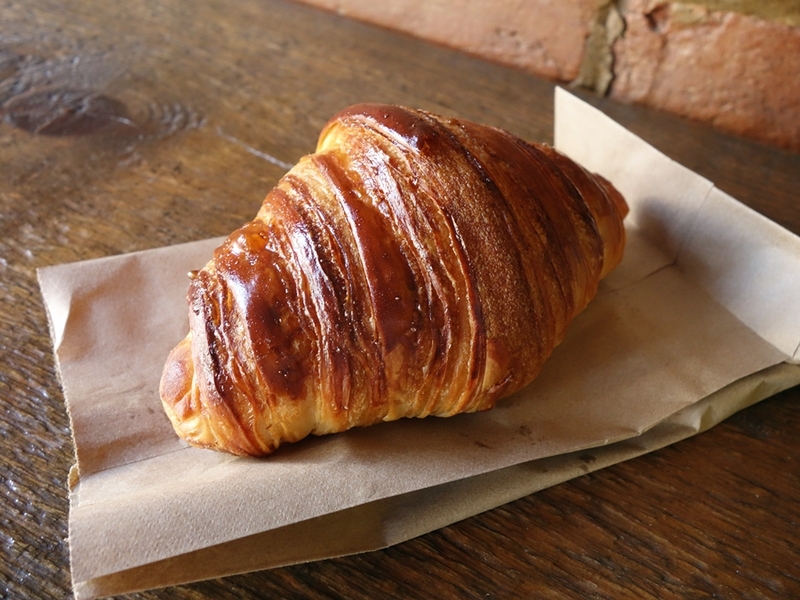 After a report about our search for some of the best croissants in Montreal, a few of our commentators gave us suggestions (and privately I got other recommendations) of other croissants to pit against our previous winner: Fous Desserts. A return to Montreal gave me a chance to make another round of bakery visits, including a revisit to Fous for the sake of comparison. 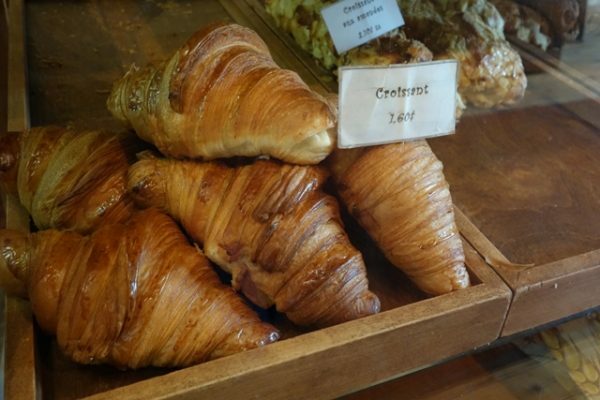 Recall that I judge the croissants based on three primary factors: appearance, texture, and flavor. For appearance, I want golden color that is as even as possible, deep without being too dark, and perhaps a buttery sheen. Crust texture should be crispy and caramelized but not crunchy, and flaky such that shards shear off upon biting the croissant or pulling it apart. Meanwhile, the crumb should have a spiral of tissue-like layers that toes the line between airy and bready, moist and tender but not soggy, with some stretch when pulling the croissant apart. 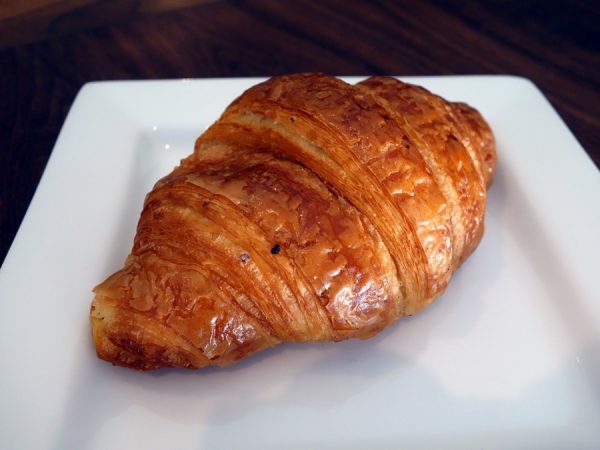 Finally, for flavor, the croissant should be buttery and sweet, with slight tang and just a hint of salt. Les Co’Pains D’Abord’s croissant ($1.35) is very buttery. Actually, extremely buttery—a tad much for my taste, and such that my camera was a little oily after taking a photo. I appreciated its pillowy interior, but wish it was flakier on the outside. Patisserie au Kouign Amann (where I’d previously eaten and enjoyed their namesake pastry) sells a “croissant nature” ($1.25) that was also too buttery, to the point of being slightly oily and a little on the soggy side. Delicious, but somewhat slick. 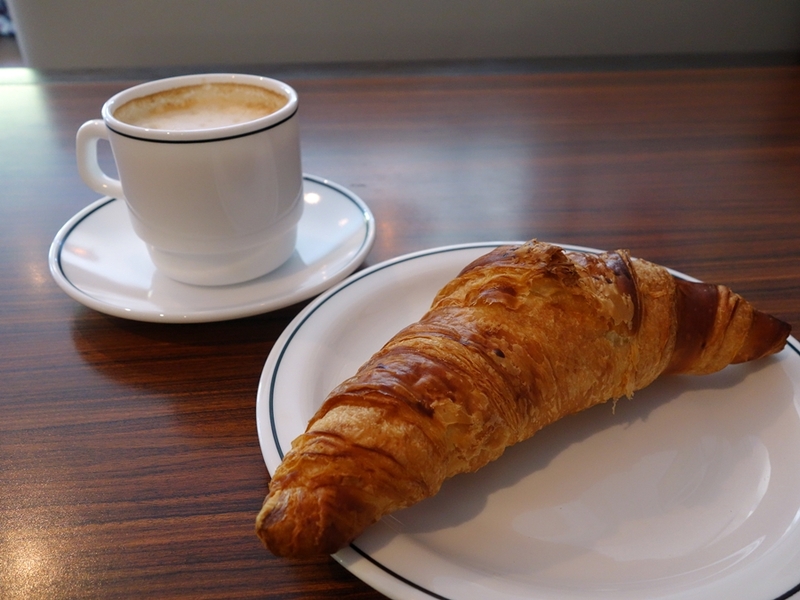 The popular Le Paltoquet garnered a few recommendations for its clearly crescent-shaped croissant ($1.45). These were the smallest croissants I sampled anywhere. They had nice crackle to the crust, but were a little too spongy on the inside, and in need of a butter boost—especially in contrast to the previous two croissants. 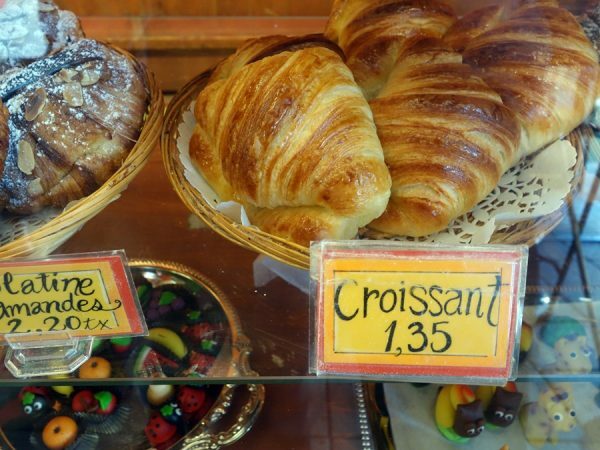 Mlles Gateaux is a sweet little shop that serves up a notably sweet croissant ($1.75). Though less flakey than others, both the crust and crumb were good quality. I simply wanted a little more savory experience, as this croissant features a vanilla glaze. Le Pain Dans Les Voiles has a pretty solid croissant ($1.45). I found nothing objectionable about its overall appearance, texture, and flavor. 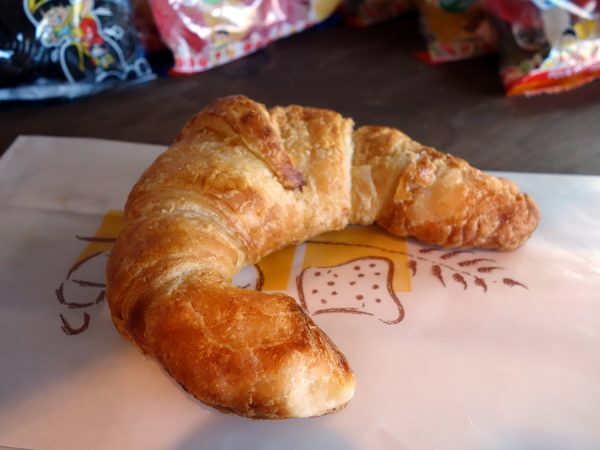 On the other hand, nothing wowed me to make this croissant especially memorable. La Bête à Pain serves the most “zebra-like” croissant ($1.50) with distinct color bands. Above average crust and crumb, along with good butter level and tanginess, made this croissant one of the more memorable, placing it toward the top of the list. 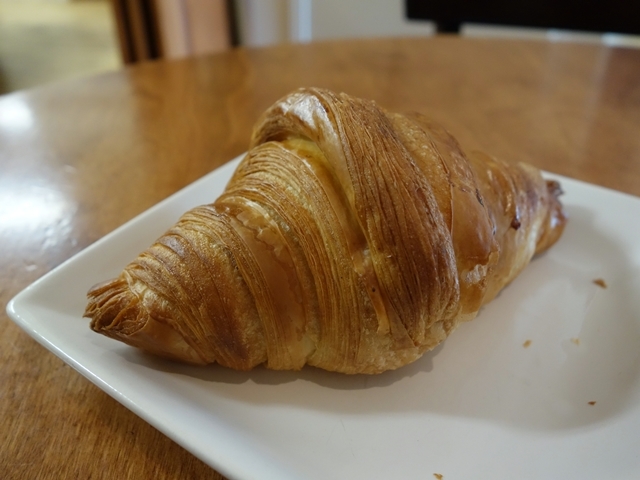 Verdict: Montreal is fortunate to have so many fine bakeries serving quality croissants. Most any city in America would be lucky to have even one of these places to call its own. That said, after 11 bakery visits, far too many butter-filled bites, and time spent cleaning up crumbs in two rental cars, Fous Desserts remains my favorite for croissant quality. 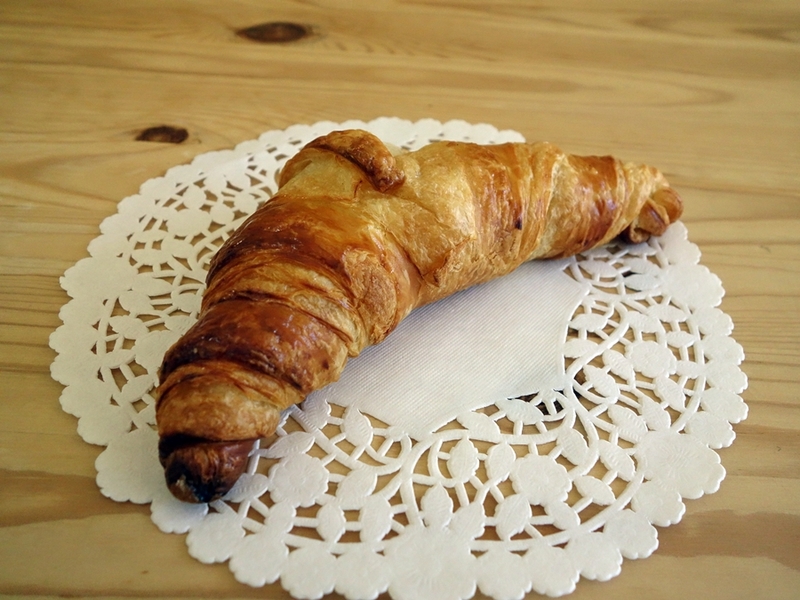 Surprised that you didn’t mentionned the croissant from “De Froment et de Sève”, which is, in my humble opinion, the best in town. Their croissant stands at the same level than Fous Desserts, far better than all others mentionned. Wow…apparently off the radar of all the food-lovers I consulted. Maybe that’s a good thing! And what’s good and appreciated about you taking time to comment. I’ll put it on my to-do list for the future!